Introducing Barrett, an adorable polar bear! Barrett is made from long and soft faux fur that we hand painted to give him a unique look. He has hand painted blue glass eyes, sculpted details, and a sweet expression. 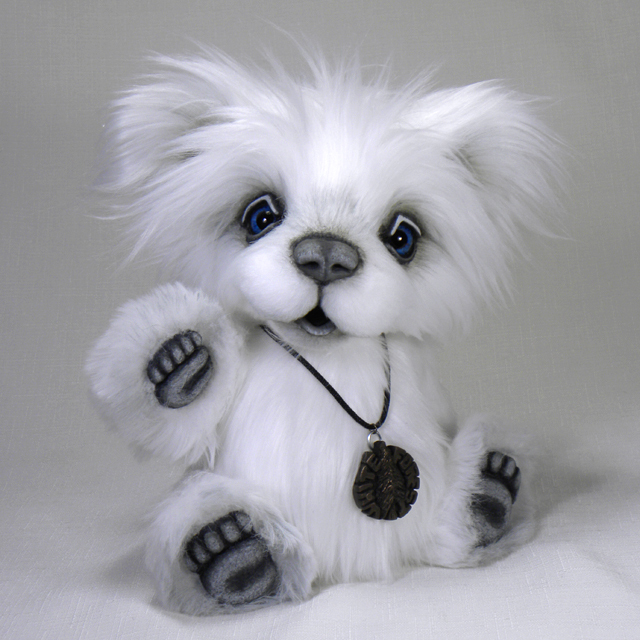 Barrett stands approximately 10” tall, and he will arrive with a White Forest pendant and a laminated custom hang tag that features his name, photo, and creation year.